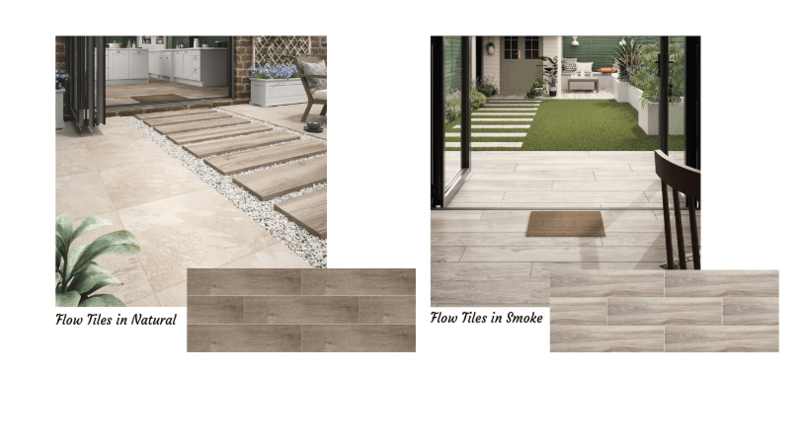 The use of wood-effect tiles inside homes has become increasingly popular over the last couple of years, but for 2019 we see wood-effect outdoor tiles really taking off. With the evenings now getting longer and lighter, many of us will be thinking about spending more time outdoors in the garden. After a cold and wet winter, your garden might not be looking like the tranquil and relaxing place you’d hope for, so an update of your outdoor space may be in order. Whilst giving your lawn the once over and repotting plants can spruce up your garden as a quick fix, you might be looking for a more dramatic overhaul by tackling your patio or decking. 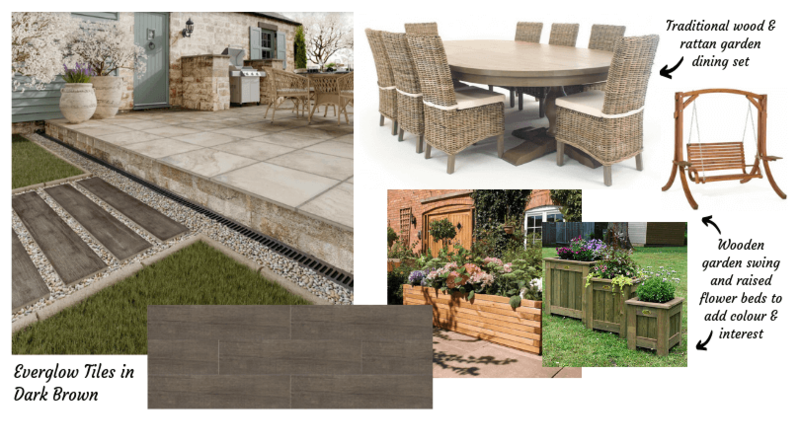 Real wood is a common material used in garden landscaping, however, we think wood-effect tiles are the perfect practical alternative to create a statement look and transform your garden. We’ve previously looked at why wood effect tiles are a great choice for your interiors, but they’re often an overlooked choice outdoors. 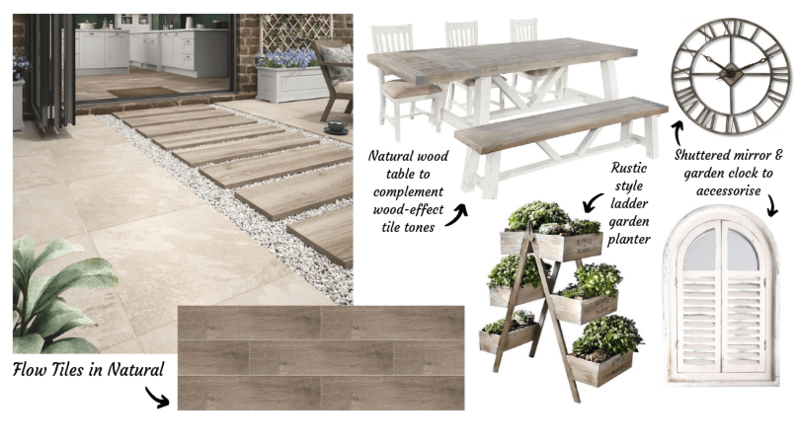 Outdoor wood effect tiles come with a wide range of benefits that make them a beautiful, practical and easy to maintain option for your garden. These properties mean that wood-effect tiles won’t warp when interfered with by cold or wet conditions, unlike real wood. 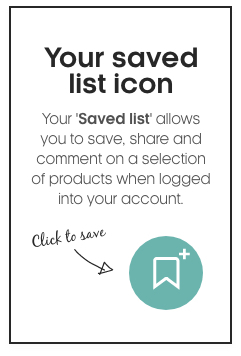 They also don’t need to be treated or sealed, saving you time and making them super easy to maintain. Unlike hardwood flooring or decking, which is prone to discolour over time, wood-effect tiles maintain their colour and tone, looking like new for years to come. Outdoor wooden floors or decking can become very slippy when wet, often presenting an accident waiting to happen. The durability and slip resistant properties of wood-effect tiles give you more stability underfoot, and the reduced opportunity for damage is particularly important if you have children or pets. Good to know: If any damage is done to your wood-effect tiles, you can easily replace a single tile, usually with a better match than that of real wood floors as their discolouring can make finding a colour match difficult. Wood-effect outdoor tiles give you the ability to create the same stunning design as hardwood floors or decking, without the high price and the pressure of annual upkeep. Both the Everglow & Flow ranges are part of our brand new Homes & Gardens collection, an exclusive selection of indoor and outdoor use tiles allowing homeowners to create stunning living spaces from house to garden. Everglow & Flow are our ranges of wood-effect tiles available in 20mm and 10mm thicknesses depending on whether you’re installing them for indoor or outdoor use. The outdoor use tiles feature slip-resistant, fade resistant, frostproof and algae & moss resistant properties, so they’ll keep their appealing look and ‘wow’ factor all year round. Their matching indoor tile versions mean you can create a space that flows from indoor to outdoor effortlessly. Each range comes in two colourways, so there’s sure to be a wood-effect tone to match your interior style. 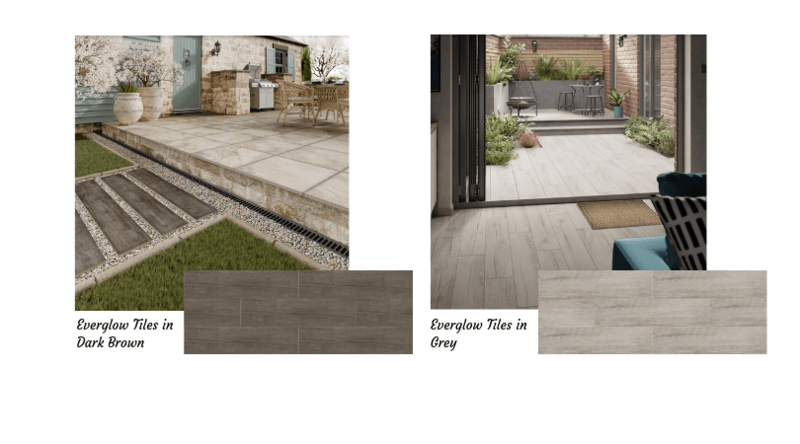 The colour options in the Everglow range are Dark Brown & Grey, with a larger outdoor format tile and narrower indoor format tile available in each colourway. The Flow range, again, features larger outdoor format tiles and narrower indoor format tiles in two colourways; Natural & Smoke. The highly realistic wood-effect designs of the Everglow & Flow ranges create the look of high-end timber decking but with the many added benefits found across the Homes & Gardens collection. Regardless of the theme of your home decor, wood-effect outdoor tiles can be cleverly matched with furniture and accessories to compliment your interior style, helping to integrate your indoor and outdoor spaces. 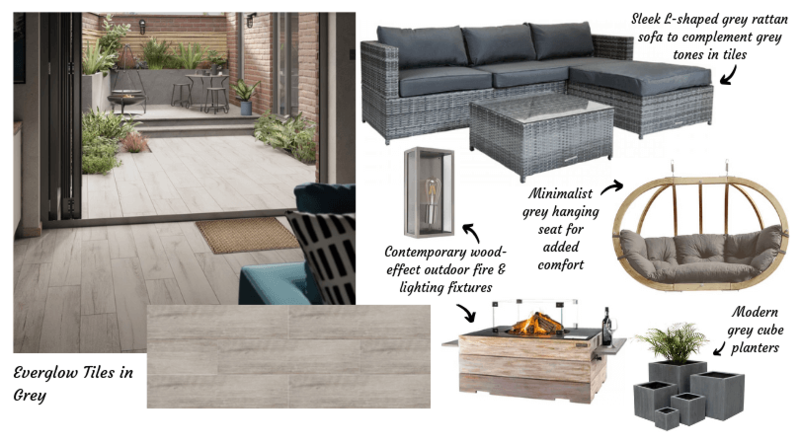 We’ll show you 4 ways to style and transform your outdoor space using our Everglow and Flow wood-effect tiles. Modern and minimalistic style homes typically use clean, crisp lines and simple colour palettes. The sleek and simple colour palette of the Everglow Grey tiles is the perfect choice for a modern, minimalistic home that flows easily from indoors to outdoors. Traditional style homes often feature rich colour palettes with dark, finished wood and a variety of textures and patterns. The classic walnut wood-effect of the Everglow Dark Brown tiles effortlessly brings this traditional style to your outdoor space. Rustic interior design draws inspiration from natural materials, using raw and unfinished elements including wood and stone. The raw and reclaimed wood look of the Flow Natural tiles is ideal to bring your rustic style outdoors. The industrial interior style takes inspiration from warehouses and urban lofts, using the primary materials of wood and metals to create a sense of unfinished rawness. 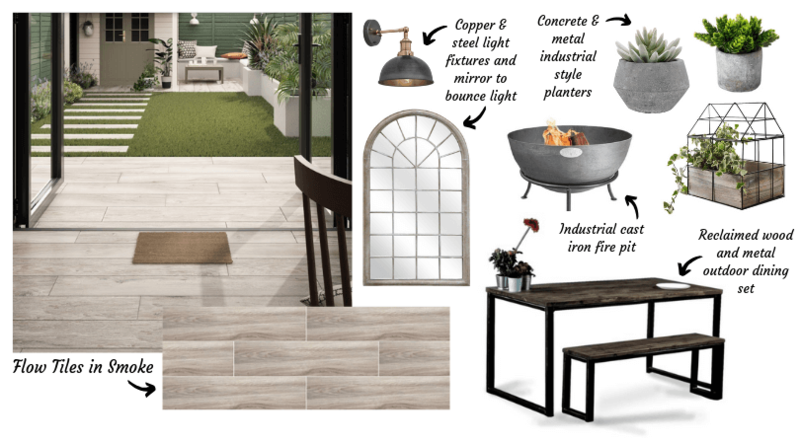 Our Flow Smoke tiles are perfect for recreating an industrial vibe outdoors, with their stripped back grey-beige tones. 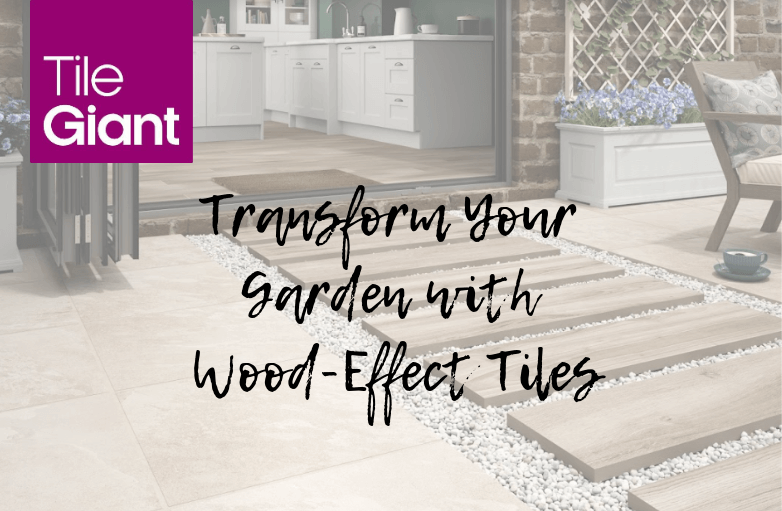 Feeling inspired to transform your outdoor space with wood-effect tiles? Share your snaps with us by tagging us on Instagram. 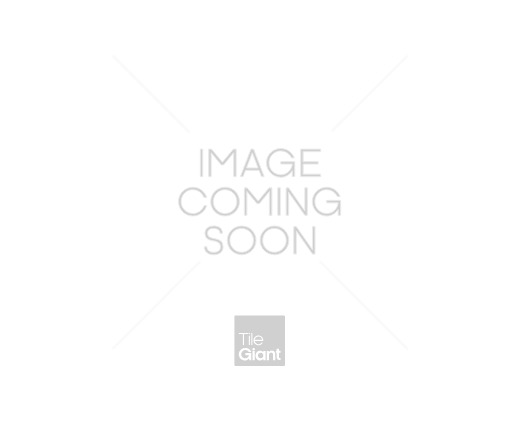 We offer extremely competitive pricing on our entire range of tiles and our Everglow and Flow ranges are ideal for both retail and trade customers. You can browse our new Homes & Gardens range in our 90+ showrooms which are open to browse at your leisure. To keep your outdoor tiles in the best condition, LTP Mouldex Paving Cleaner provides a powerful cleaning affect against mould spores and algae. Alternatively, if you’d prefer to shop our tiles online, we can supply you with 3 free cut samples delivered for free. Not only that but Tile Giant also offer a buyback service on any unused tiles (T&Cs apply), meaning you get great value for money.